Personalised Promotional Paper Cups are ideal for parties, conferences, expeditions and sporting events. Designed for both hot and cold beverages, these Customized Paper Cups can be personalized with your logo or event information. Paper cups - just perfect for campaigns of all sizes. Prices are for 1 colour print in 1 position. Please call for multi-colour print prices. Polystyrene cups - a favourite for hot drinks for their thermal properties. Prices are for 1 colour print in 1 position. Please call for multi-colour print prices. Disposable paper cups printed full colour all round offering an amazing branding potential. Disposable ripple paper cups printed full colour all round offering an amazing branding potential. 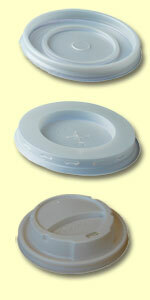 Disposable paper cup lids supplied plain. These lids will fit all size paper cups.